Admitted in Missouri and Kansas only. Not admitted in Texas. Georgetown University, McDonough School of Business, B.S. 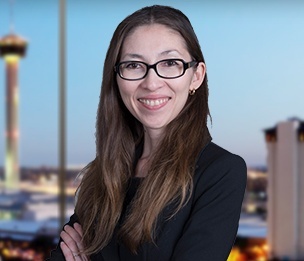 Asel M. Lindsey is an associate in the Taxation and Estates group in Dykema's San Antonio office. Ms. Lindsey focuses her practice on federal tax, state and local tax, international tax and tax controversy matters. Ms. Lindsey is experienced in mergers and acquisitions, corporate, partnership and transactional tax matters. Ms. Lindsey also has experience advising clients on audits, dispute resolution, appeals and litigation. "1202 Stock in Entity Choice Considerations"
"Tax Due Diligence in Asset Acquisitions"